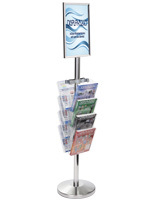 With clear acrylic pockets, this 17 x 11 floor sign stanchion with magazine rack offers a full view of literature. 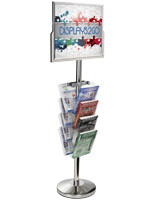 Showcase sales or other pertinent information in the landscape frame to quickly get your message across. 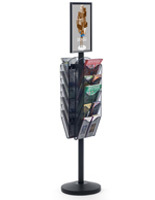 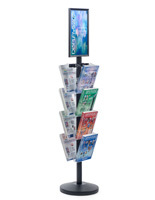 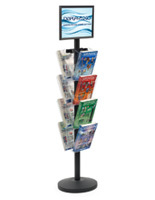 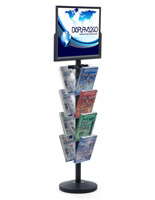 Each sign stanchion with acrylic holder features 8 clear pockets to hold a large collection of literature including periodicals, catalogs, and more! 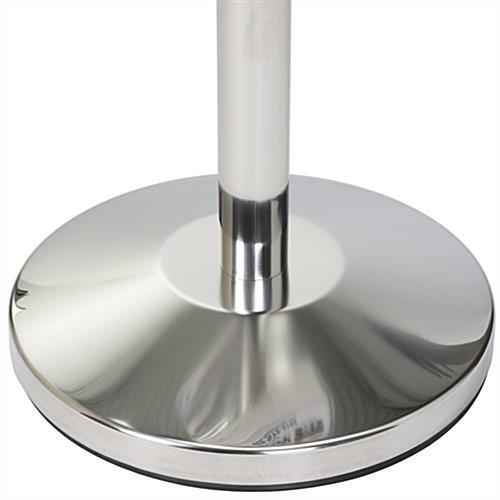 The stainless steel stand is durable enough for everyday use and matches well with any environment. 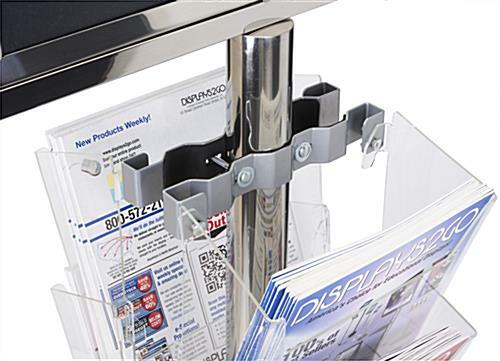 Attach the acrylic holder pockets onto the bracket with the included hardware to start advertising your business. 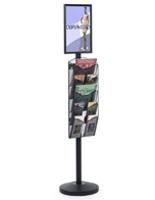 Stand this sign stanchion in walk-ways, lobbies, and reception areas to distribute literature to prospective clientele. 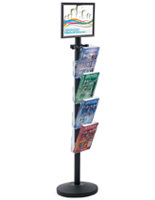 17.4" x 63.0" x 20.0"